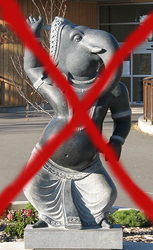 This letter is an official protest on the part of Calgarian Christians to the placement of a hindu "god" statue in the Calgary Zoo, in front of the Elephant Crossing Exhibit. Since the zoo is publicly funded by taxpayer dollars, the zoo is accountable to taxpayers, a segment of whom we represent. The statue we are referencing is the statue of Ganesh, the Hindu "god" known to Hindus as “Lord of Beginnings and Lord of Obstacles”. You can see a full description of this idol here http://en.wikipedia.org/wiki/Ganesh. The zoo is not a place of religious indoctrination, it is supposed to be a safe family environment free of religious icons and selective religious partiality. The displaying of different gods in a public place, like this, is an offence to our beliefs and does not represent the diversity of views that should be reflected, if the zoo is embarking on teaching the public about world religions as they relate to the natural world. If, in fact, the zoo is on a quest to expose people to different religious viewpoints, which I presume atheists would take exception to, the zoo should not be selective and exclusive. Therefor, if this is the intent, I make a proposal that a display be erected including the cross of Jesus Christ, the ten commandments (as seen in the old testament of the Bible – Exodus 20) Noah’s Ark, and a display sharing the Biblical Creation view of nature’s origins which reflects our Christian beliefs and the beliefs of our nations forefathers. The display of foreign gods is offensive and does not reflect the views of the majority of Canadians. Today we make a request that unless the Calgary Zoo is willing to expand their exhibits with the proposed additions we outlined above, that the zoo would in fact maintain its former state of being neutral with respect to religious beliefs and backgrounds by not displaying any religious icons, idols, or texts within its grounds. We know that this must have been an oversight and are confident that those individuals who receive this formal request will review this request with all soberness and will act quickly in restoring the zoo to its former family friendly and religiously neutral state. 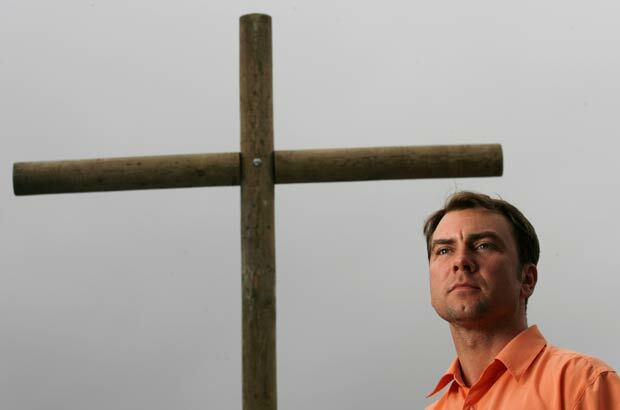 This letter represents the view of many Christians and Christian organizations. We humbly await your response. A copy of this letter is being sent to all of Calgary’s aldermen and to Calgary’s mayor, to members of parliament, and to the media.